As always, the World Cup will capture the imaginations of people from every corner of the globe. Young and old, rich and poor, men and women all across the planet will be gathered around televisions to cheer on their heroes as they fight to lift the famous 6.1kg, 18 carat gold trophy aloft in Moscow’s Luzhniki Stadium after the final match. For most fans around the world the disappointment of not having your own country qualify for the finals tournament has subsided and now the anticipation begins to build before the big kick-off on June 14th. For the fans of the 31 countries who will be participating alongside the host nation Russia, the excitement is almost tangible and many fans will be making plans to travel to Russia to follow their teams. With all the constant travelling around in a huge, and for most, unknown country, it’s always good to keep yourself connected with your travelling companions and those back at home. One of the easiest ways to do this when in Russia, where roaming charges are still high compared to many other countries, is to purchase a TravelSim International Sim Card with 5GB Data Plan and free incoming calls. This will keep you online to make your travel easier and also has free incoming calls so it’s cheap and easy to stay connected with home. You can save on data roaming costs and use you phone without fear for expensive bills. 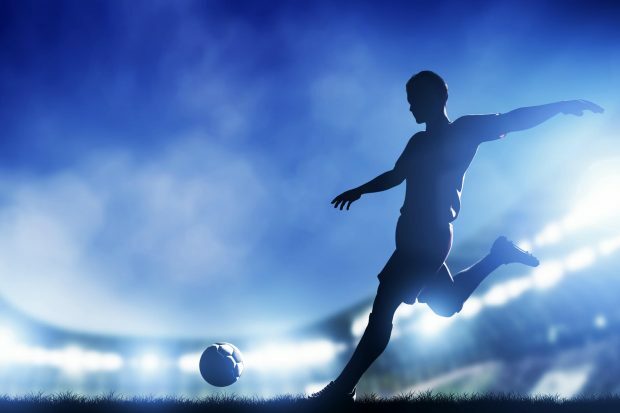 The World Cup has taken place every four years since the inaugural event in Uruguay in 1930, with the exception of 1942 and 1946 as a consequence of the Second World War, or Great Patriotic War, as it is known in Russia. Russia 2018 will, therefore, be the 21st World Cup Finals tournament and the first time it has ever been held in the world’s largest country. The very first World Cup was held in Uruguay, with all the games taking place in the capital city, Montevideo. Thirteen teams took part and the final match, at the Estadio Centenario, saw the hosts beat neighbours Argentina 4-2. In the subsequent nineteen tournaments a further seven nations have been crowned Champions of the World. Italy (4 wins), West Germany/Germany (4), Brazil (5), England (1), Argentina (2), France (1) and Spain (1) have all been victorious, with Uruguay winning again in 1950. Of these previous winners, only Italy will be absent from this year’s tournament having been defeated in a play-off tie against Sweden. Thirty-two teams will contest this year’s competition with representatives from every continent except Antarctica. Europe provides the largest number, with fourteen teams taking part, while South America, Africa and Asia (which in footballing terms includes Australia) have five each. The remaining three places are taken by teams from North America. Given that we have teams from every part of the world taking part, it’s not hard to see that Russia is braced for an influx of visitors bringing their own particular cultures and enthusiasms to this year’s event. When the 2018 World Cup was awarded to Russia in December 2010, the proposal put forward by the Russian government and footballing authorities was for the event to be held almost exclusively in European Russia, thereby avoiding the problems created by the huge distances between cities in Asian Russia and the concomitant time zone difficulties. Whilst being understandably disappointing for the people of the far larger Asian part of the country, from a purely organisational point of view this makes sense. Fans and players alike will have to travel less and for the television viewers around the world the games will all take place within a certain time-window each day. The host cities for Russia’s World Cup range from Ekaterinburg, the only Asian city to host matches, in the east, to Kaliningrad in the west, in the Russian exclave located between Poland and Lithuania. From Saint Petersburg, the world’s northernmost city with a population over one million you can travel southwards to the city of Sochi on the Black Sea near to the Georgian border in the south to take in games. Even though virtually all these cities are in European Russia, by the standards of most countries the distances between these host cities are vast. Luckily there are flights available between most venues and hundreds of extra trains will be provided during the tournament. The 2018 World Cup will feature the familiar groups of four, playing in a mini-league format in the first stage of the competition, but teams will be playing each game in a different city. For example, Group A, features Russia, Saudi Arabia, Egypt and Uruguay. Games between these four teams will take place in several cities: Moscow, for the opening game between Russia and Saudi Arabia, Ekaterinburg, Saint Petersburg, Rostov-on-Don, Samara and Volgograd. As usual the top two teams from each group will then go forward in to the knock-out stage of the tournament, with games again spread around the country. 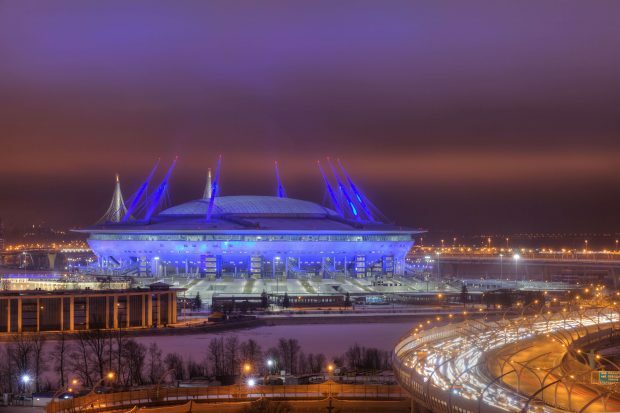 By the time we get down to the last four, the semi finals will be played in Saint Petersburg and Moscow, with the final game taking place at 18.00 local time in Moscow’s Luzhniki Stadium. Who Will be in Russia? Alongside the usual suspects, who will be hoping to advance far into the tournament, Russia 2018 marks the World Cup debuts of Iceland and Panama. When these two grace the field in Russia 2018 the total number of nations who have competed at the World Cup finals tournament will be brought to 79. Panama qualified for their first ever World Cup with a last gasp win over fellow qualifiers Costa Rica, who were their themselves the surprise team of the last World Cup in Brazil 2014, reaching the quarter finals. Perennial qualifiers Mexico make up the trio of central American nations, with the much-fancied USA failing to qualify this time around. Although a bit of an unknown quantity to the outside world, Panama will, of course, seek to do themselves proud. They will doubtless seek to build on the win over Costa Rica and emulate their near neighbours run to the quarter-finals at the last tournament, but they will make life tough for Belgium, England and Tunisia in Group G.
Thanks to their heroics at the last European Championships in France two years ago, tiny Iceland (population: 335,000), the smallest country ever to participate in the World Cup finals, are unlikely to be underestimated by any of their opponents in Group D. Their achievement in reaching the last eight of the European Championships which included two draws and a win over Austria in the group stage, before defeating England 2-1 in the round of 16, sent shock waves around the world. Drawn in a very tough group alongside Argentina, Croatia and Nigeria, don’t be surprised if the men from the land of ice and fire cause an upset or two. Given that there have only been eight nations who have ever won the World Cup, there are only a few with genuine hopes of lifting the trophy come July. As always, though, there will be a few shocks along the way and no doubt some big names will underachieve. With four-times winners Italy and three-times runners-up the Netherlands both failing to qualify there is room for one or two other nations to make their mark. With a third place finish in 1966 and fourth in 2006, current European champions Portugal will be looking to improve on an otherwise fairly undistinguished record at the finals tournament. Despite a history of producing some top quality players, including current superstar Cristiano Ronaldo, the Portuguese have never really taken a tournament by storm. Even when becoming European champions in 2016 they had a lacklustre performance. The Portuguese flatter to deceive and don’t look like serious contenders despite their title of Europe’s best. Belgium, like France, is another country which has a great squad of players who have come through at the same time, and will be hoping that qualification from a group including England, Tunisia and Panama will lead to greater things. Ever since Cameroon became everyone’s favourite ‘other team’ during their run to the quarter-finals in 1990, African teams have had high hopes going into tournaments but have rarely lived up to their promise. Only Senegal in 2002 and Ghana in 2010 have equalled Cameroon’s quarter final spot. This time around the strongest African representation would seem to come from Nigeria and Senegal. Egypt, who have been Africa’s champions a record seven times, Tunisia and Morocco, who have all previously competed in the World Cup, rarely seem to do well at the tournament but we will only know when the games begin. Anyone looking for potential winners would be wise to look to the past and see the teams who have won the competition previously. Five times champions Brazil are always expected to do well and anything less than a semi-final place will be regarded as a relative failure. Likewise, current champions Germany, four times winners, are always there or thereabouts and have expectations just as high as those of Brazil. A resurgent France, who have a crop of exciting young players at the moment and Spain, who were crowned the best in the world in 2010, probably represent the best hopes of a victory for European nations, apart from Germany. Argentina, featuring the mercurial talents of Lionel Messi, are always worth looking at as potential winners, while Uruguay are outsiders who, nonetheless, have a phenomenal record in the World Cup. Inaugural winners on home territory, they repeated the feat in 1950 in Brazil and have been semi-finalists are recently as 2010. Quite an achievement for a country with a population of less than four million. Almost every World Cup throws up an unexpected success story and, given the improving standards of football across the globe, almost any competing nation could be this year’s fairy tale entrants. 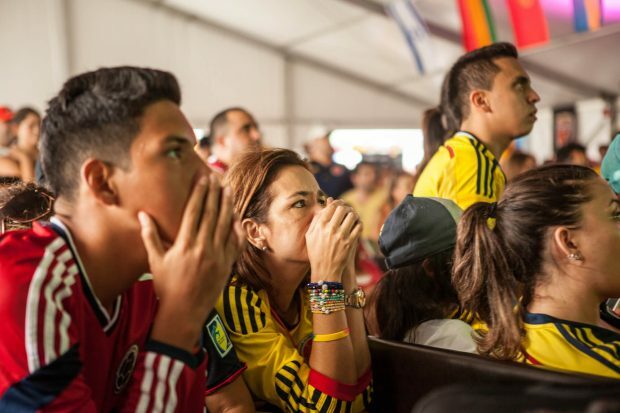 Even the smaller European nations have the footballing tradition and history to make their mark and who is to say that this year might not be the one where talented former under-achievers, such as Colombia or Mexico make their mark. Sweden saw off Italy in the play-offs and have a talented group of players at their disposal. Home advantage is usually a big help in tournament football so, if Russia can get off to a flying start against Saudi Arabia, the momentum created by the fans may help them do better than expected. 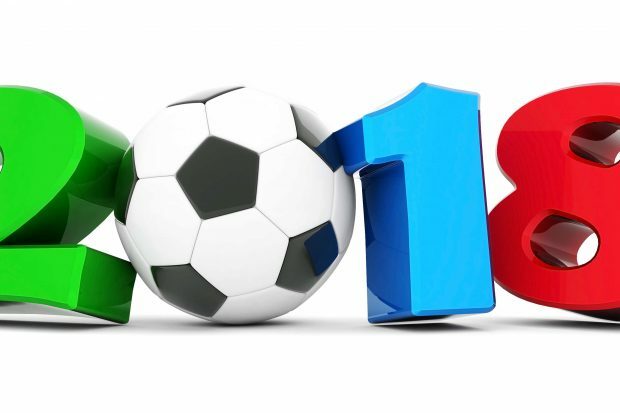 Whether your country has qualified or not, whether you’re travelling to Russia for the tournament or not, one thing is for sure; the World Cup is sure to bring excitement, joy, despair, hope and anguish to millions of people around the world. Despite some controversy over being awarded the World Cup 2018, we can be sure that Russia will want to put on a spectacle worthy of the world’s biggest sporting event. Gleaming new stadia filled to capacity with exuberant fans, the expectations of the home support, tens of thousands of supporters visiting cities in a country few of them will have been in before mean this will surely be a successful and memorable World Cup tournament. We’re all just waiting for that first blast of the whistle for the big kick-off. Travelsim keeps you connected in Russia. 1GB data only for €18. Incoming calls are free.